All the students and staff members have assembled in the school hall to celebrate ‘Gyalyum Chemo’s birth day’ as Parents’ Day in our school on March 5, at 9.30 am. 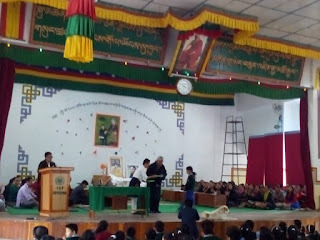 The chief guest for the occasion was Mr. Wangdue – The Director of Tibetan Children’s Village School – Dharamsala. 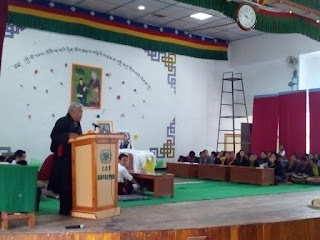 The program got started with school song followed by reading of statement on parents’ day from the Department of Education by the principal. Thereafter the chief guest honored the students of junior section with academic and other prizes. He gave talk on importance of parents in one’s life and asked the students to feel the gratitude of your parents for their unconditional love and care and unwavering support throughout your life.